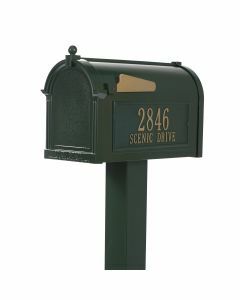 Our handsome mailbox post is as durable as it is stylish, providing proud service no matter the weather, season after season. 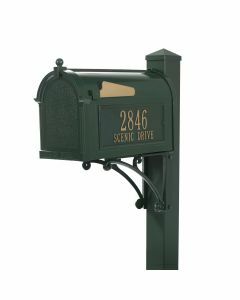 This mailbox post is made of cedar and stained white. Sufficient length to allow for up to a 30-inch burial. Click on images for greater detail. Made of cedar and stained white. The decorative cap completes the post.